Imagine this dilemma; you’re a marketer for a retail brand and you’ve convinced your boss that having a mobile app is a must in order to better engage with the modern consumer, resulting in higher revenue. Your boss agrees, and you get the budget you need to build the app. But now, you’re faced with an unexpected challenge; getting your customers to actually use your app. Let’s say for convenience sake that you’re following all the mobile app best practices around UX and engagement but still struggling to convert customers into avid app ambassadors for your brand. Where do you go from here? Cue app promotion. Read on below for six reliable app promotion tactics to get customers flocking to your mobile app. Much like you would with any new product launch, you should promote your app across all of your online channels. Not only is this an easy way to draw attention to it, but it also sends the message that your app is aligned with your overall brand experience. SweetGreen’s homepage feature is a perfect example of app promotion done right, combining beautiful creative with actionable copy-text and CTAs enticing customers to download. The significance of the homepage app callout sends a clear message to the consumer that if you don’t have the app, you’re missing out. This banner promoting the app is at the bottom of all emails I receive from Trulia. It’s easy to spot, well branded, and has a clear call-to-action. Post app launch, follow the best practices set by SweetGreen and Trulia to ensure your app has a prominent presence across your online channels. No online app promotion is complete without social media, but in order for social promotion to truly be effective, it needs to be ongoing. Promoting your app sporadically on your social channels may lead to a spike in downloads for a short amount of time, but the impact will taper off. Having an ongoing social promotion strategy for your app is the best way to steadily increase awareness and downloads. It also ensures your customers realize your app is a core piece of your business. App promotion isn’t just for the internet. If you have a brick and mortar store, you should promote your app at point of sale locations and anywhere else in your store that makes sense. The notion that your app is a part of your overall brand experience will only resonate if it truly is, so make sure your physical locations are also dialed into your digital presence. Add appropriate signage at cash registers and other key parts of your store and just like any other advertising, don’t bury the lead. Make sure your customers know about your app, but more importantly, why they need it. As marketers, we all know first-hand how impactful customers referrals can be. The same goes for your app. One of the most effective app promotion tactics is word-of-mouth from current users. How do you get them talking? For starters, you need to give them a killer app user experience. Since that is a stand alone topic we continually address on our blog, let’s assume your UX is up to snuff and users love your app. Give them the extra motivation they need to spread the word through incentives. Encourage current app users to promote your app to their friends by offering a reward for their efforts. This can range from a free item (e.g. cup of coffee) to a referral bonus credit to their existing account and is the perfect way to gain new users while at the same time rewarding loyal ones. Referrals may not be a novel concept, but they’re an effective one which is why they remain prevalent. For the modern shopper, physical loyalty cards are a thing of the past. Apps have transformed the way consumers function, and their smartphones now act as a one stop utilitarian shop to get them through their day-to-day. Therefore, it’s becoming increasingly important for your brand’s app to be a part of that shop. But we know from a recent study done by Nielsen that while app usage is increasing, the number of apps users keep on their phone remains stagnant. App users are selective when it comes to which apps they’ll download and use on an ongoing basis, meaning your app’s purpose needs to be very compelling. Positioning your app as your brand’s loyalty card is not only an extremely effective app promotion tactic, but a retention one as well. Eight years after the birth of the App Store, apps have become an integral part of many brand’s marketing strategies. The modern consumer relies on their smartphone for virtually all aspects of life. Apps are so effective because when done right, they provide a personalized shopping experience based on the preferences of the user. 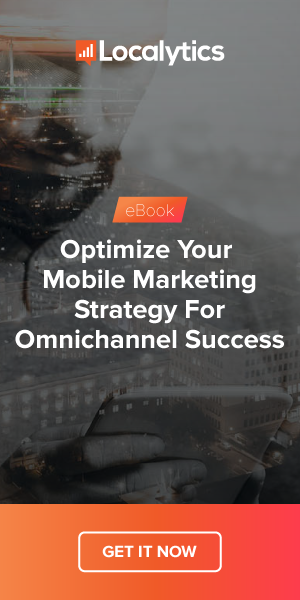 Mobile marketers must harness the power of apps effectively to promote this personalized experience, and ensure they don’t contribute to spammy tactics responsible for creating the mobile engagement crisis. Because when done right, apps have proven to far exceed their ROI, with many retail brands seeing the lifetime value of customers who have an app increasing.